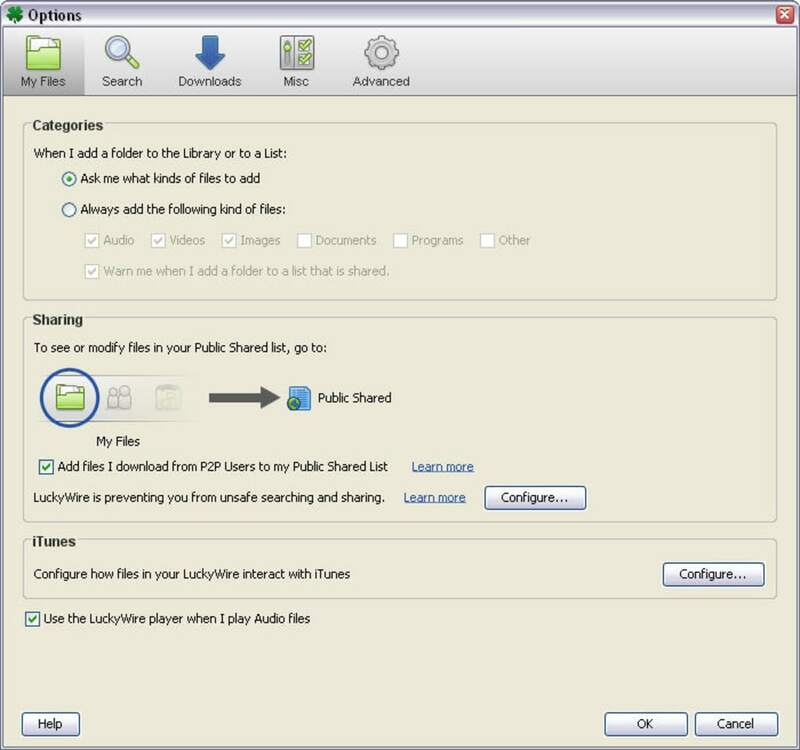 LuckyWire is a free P2P file sharing app designed to replace the late LimeWire, featuring a very similar appearance and functionality. Using LuckyWire is really easy, since the program follows the traditional interface structure you find in other P2P clients. 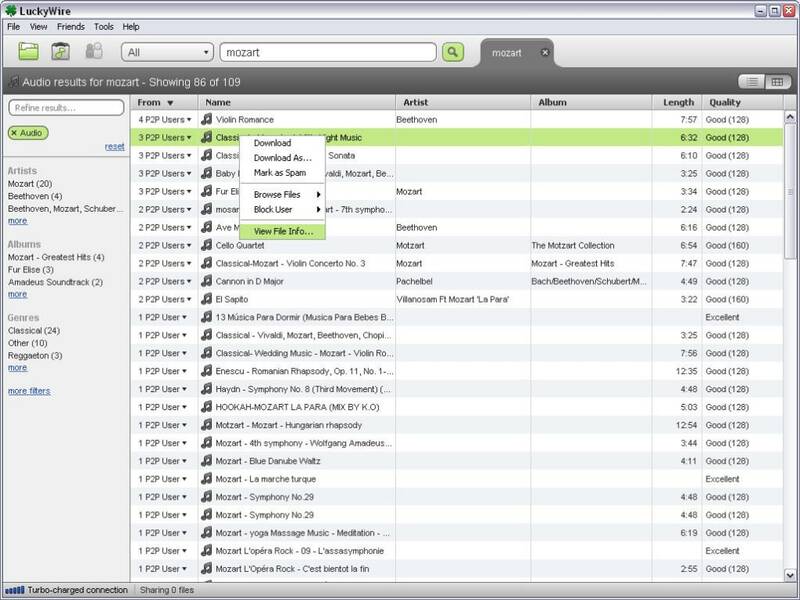 If you used LimeWire before, you'll find it even easier. There's a search bar on top of the interface with a drop-down menu to filter searches by file type, and separate tabs for each search. 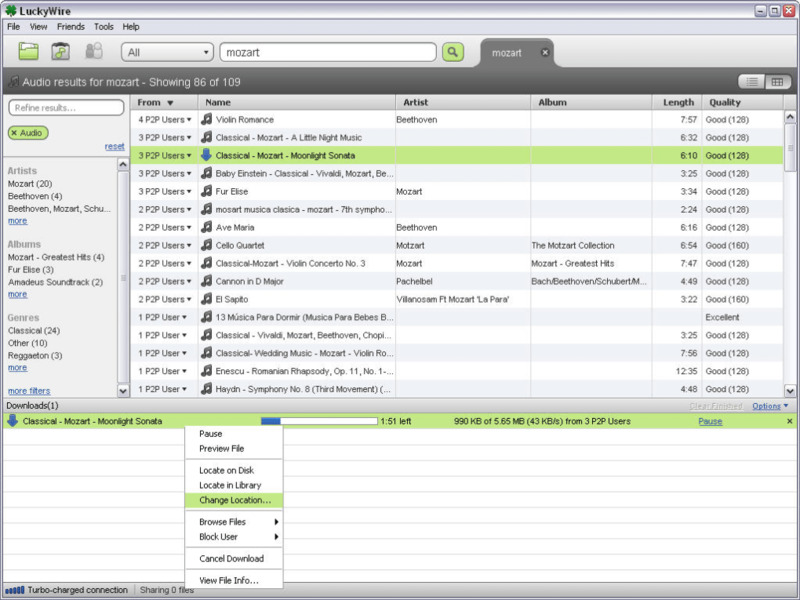 LuckyWire works with Torrent files as well, and includes a built-in player - though only for audio files. Results in LuckyWire can be displayed in two ways: in a list view that can be sorted according to different criteria (name, relevance and so on), or in the classic P2P view with a table that includes all the details about each file. 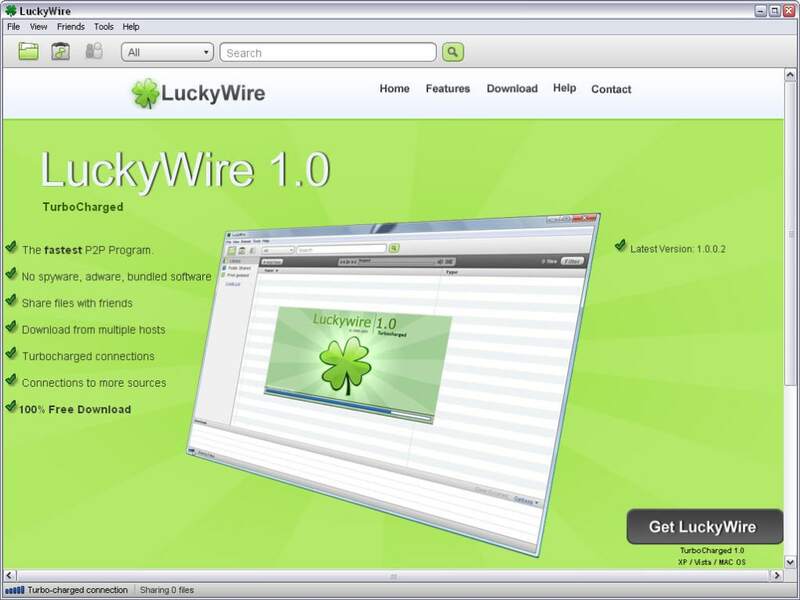 LuckyWire is very fast – both in searching and downloading – but you should beware of fake results, which come up quite often and are harder to spot. Checking the file's properties should be enough to be on the safe side. expired, fail, no search, no download, mp3, download, search. Hoy 26 de Julio del 2014, veo que el dominio luckywire.com a expirado, y junto a él el sistema de búsqueda de su software. 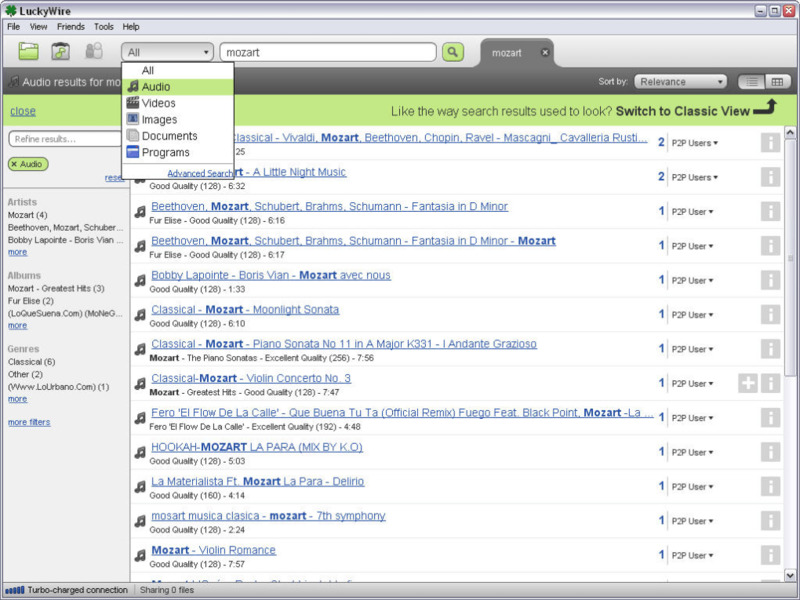 - Domain Expired and the search music system too. Tried opening LuckyWire and it won't connect.. I've had LuckyWire for months now and it worked great until yesterday. It won't connect. Had it on for hours and it wouldn't connect. Uninstalled it, then re-installed it and still it won't connect. What would be wrong? Works great when I've used it. What do you think about LuckyWire? Do you recommend it? Why?